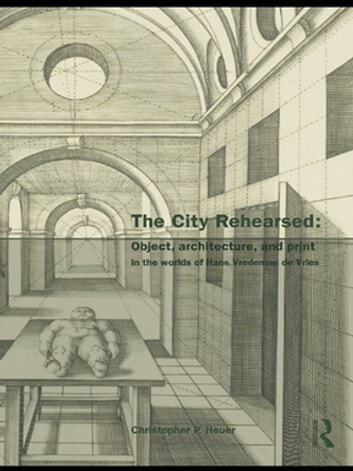 The City Rehearsed offers an entirely new perspective on printed architecture in early modern Europe through the lens of Hans Vredeman de Vries. It probes the geographical encounters of dozens of engravings with contemporary texts on architecture, theatre, urbanism, art collecting, even ethnography. The Netherlandish polymath Hans Vredeman de Vries (1526-1609) devoted his entire career to the production of imaginary architecture. 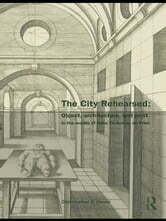 Painter, architect, rhetorician, perspective theorist, festival designer, and draughtsman, Vredeman was active in Antwerp, Amsterdam, and Prague, where he designed a mysterious body of architectural prints, works which by the seventeenth century had influenced buildings from Tallinn to Peru. Including Scenographiae (1560), and Perspective (1604-5), Vredeman’s strange publications were among the most widely-distributed "Renaissance" books on building and vision, shipped to England, Spain and even Mexico by 1600. This book, the first sustained study of Vredeman in English, shifts the focus of inquiry to look at the active role his prints played in the life of urban readers outside of a narrowly-defined "Flemish" architectural history. This is a study with clear interest for historians of art and the built environment, and one with broader contemporary resonances for changing definitions of "European" culture and identity in the present day.